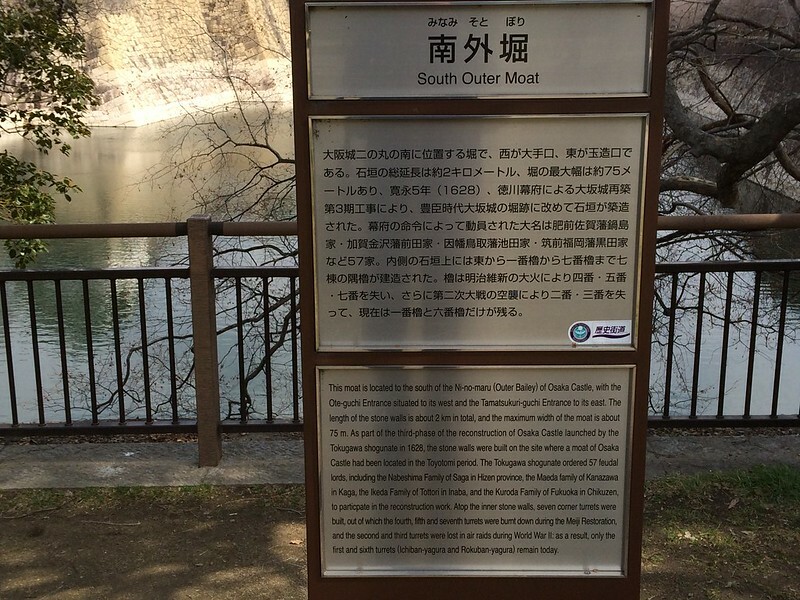 This moat is located to the south of the Ni-no-maru (Outer Bailey) of Osaka Castle, with the Ote-guchi Entrance situated to its west and the Tamatsukuri-guchi Entrance to its east. The lenght of the stone walls is about 2km in total, and the maximum width of the moat is about 75m. 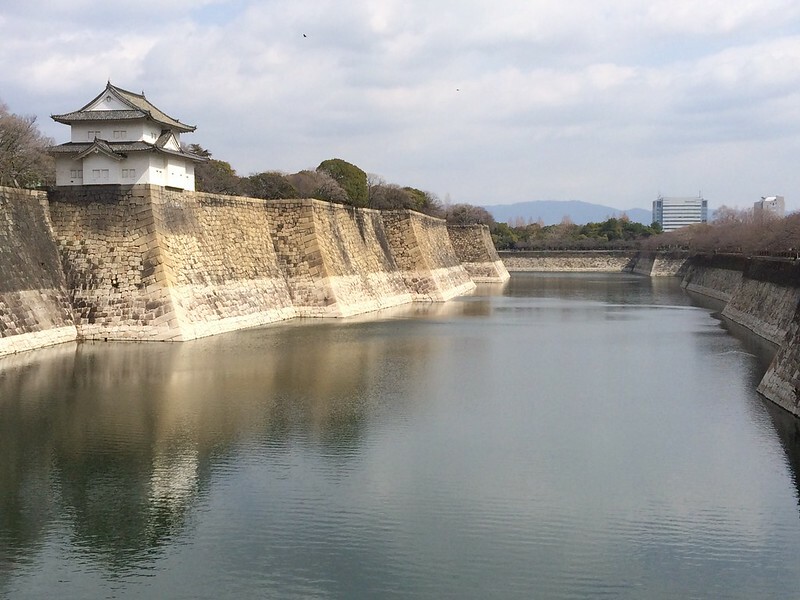 As part of the third-phase of the reconstruction of Osaka Castle launched by the Tokugawa shogunate in 1628, the stone walls were built on the site where a moat of Osaka Castle had been located in the Toyotomi period. The Tokugawa shogunate ordered 57 feudal lords, including the Nabeshima Family of Saga in Hizen province, the Maeda Family of Kanazawa in Kaga, the Ikeda Family of Tottori in Inaba, and the Kuroda Family of Fukuoka in Chikuzen, to particpate in the reconstruction work. Atop the inner stone walls, seven corner turrets were built, out of which the fourth, fifth and seventh turrets were burnt down during the Meiji Restoration, and the second and third turrets were lost in air raids during World War II: as a result, only the first and sixth turrets (Ichiban-yagura and Rokuban-yagura) remain today.